In Spain, the Virgen del Carmen (Mare de Déu del Carme/Our Lady of Mount Carmel) is revered as the patron saint of the sea, the fishermen and the Spanish Armada. 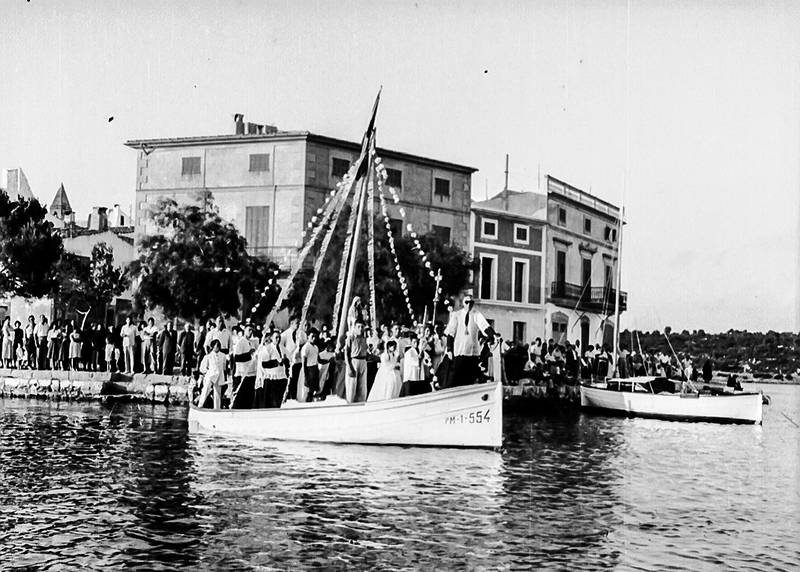 In Mallorca, the saint’s day is celebrated annually on July 16th with a sea-borne procession in harbour towns such as Port d’Andratx, Port de Sóller, Port d’Alcúdia, Cala Rajada, Porto Cristo, Portocolom and Colònia de Sant Jordi, to name but a few. The photo was taken ca. 1942 in Portocolom (Felanitx), Mallorca, Baleares, Spain, courtesy of the photographer, Francesc Bonnín.